All of our products are guaranteed. If you don’t like your logs – just let us know, and we’ll make sure you get a refund or a credit note (subject to goods being returned). At the moment we’re just delivering to the United Kingdom – but who knows what the future might bring! Weekday delivery is on us, but if you’d prefer a Saturday we can do that for an extra £30 fee. We reserve the right to cancel any orders we can’t fulfil for any reason. If your order is cancelled we’ll let you know right away and you’ll be refunded accordingly. Make sure you read the ‘my delivery‘ page so you can understand the access restrictions. We’re unable to guarantee delivery dates to some areas of the United Kingdom. If your order goes missing, or is damaged, between dispatch and delivery, we’ll send you a replacement order as soon as we can. If we’re unable to dispatch replacement goods within 7 days you’ll get a full refund. For these purposes, delivery takes place when products are left at your delivery address or with someone else in accordance with your instructions. Products offered by us are displayed on our website in ‘real time’. This is to say that any product may be withdrawn from offer without notice. On termination of subscription, we will refund your money saved to date only (minus 5% to cover transaction charges incurred). All national deliveries will be ‘Economy’ which is 3 -5 days from despatch and delivered on a pallet using a tail lift lorry with a hand pump truck. (No crane facilities). Delivery is free on all bulk orders over £130 when delivered via our national delivery network within mainland UK (excluding Saturdays- £30 additional charge). All offshore destinations will be subject to a delivery surcharge.In the event of a customer agreeing to a delivery and not being at home during the agreed time period, or there not being a safe place to leave the goods, a redelivery charge of £15 per pallet will be made. Delivery drivers are not expected to manoeuvre the pallet beyond the rear of the vehicle but will risk assess each delivery and always be as helpful as possible where conditions allow. In the event of a delivery not being possible due to poor access or gravel drive then the delivery will have to be “kerbside” (i.e. left as near to the property as possible). On making purchase, once delivered the pallet on which the product is delivered automatically becomes the property of the purchaser. In the event of any dispute, resulting in the goods being returned to Firewood Fund, payment will be refunded to the customer less the relevant charges. Lead times may extend during busy periods. FirewoodFund does not undertake email marketing and will not sure details with any third party other than the exceptions mentioned below. We respect our customers privacy therefore personal information is only be shared with essential organisations. These include our supplier, delivery company and accountancy firm. FirewoodFund does not host or hold any payment information. Payment information is captured and processed via our payment gateway suppliers Stripe & PayPal. By accepting our terms and conditions you are consenting to your information provided to be securely stored and shared with these organisations. 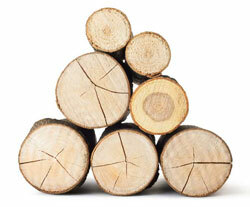 FirewoodFund.co.uk is encrypted to keep your information safe & secure. Emails originating from FirewoodFund.co.uk are also encrypted. On 24th May 218 we appointed a data protection officer. In the unlikely event of a data breach, we will report the breach to the ICO and notify the individual within 72 hours.